Lube1 Premium ATF M-9G was specially developed for use in the Mercedes-Benz 9G-Tronic transmission of W9A 700 line (9 speed). 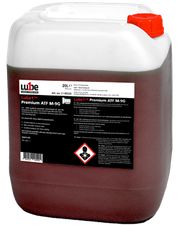 Lube1 Premium ATF M-9G can also be used in transmissions with specification MB 236.16 (A 001 989 92 09), as this specification was replaced by MB 236.17. Attention! 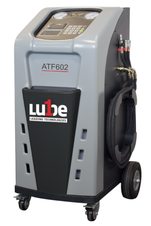 Lube1 Premium ATF M-9G is not backwards compatible with older transmission types. A fully-automatic service station for oil change on DSG and automatic transmissions. With automatic detection and change of flow direction. Exact measurement by tank scale, with 2 x 20 liters replaceable new and used oil tanks, including oil temperature display and level monitoring of the tanks. The device has an internal strong pump for filling. Easy-to-operate TFT / LCD color display with integrated thermal printer. The ultimate lubricant with many applications for industry, workshops and at home. For Mercedes-Benz with 9-speed transmissions.